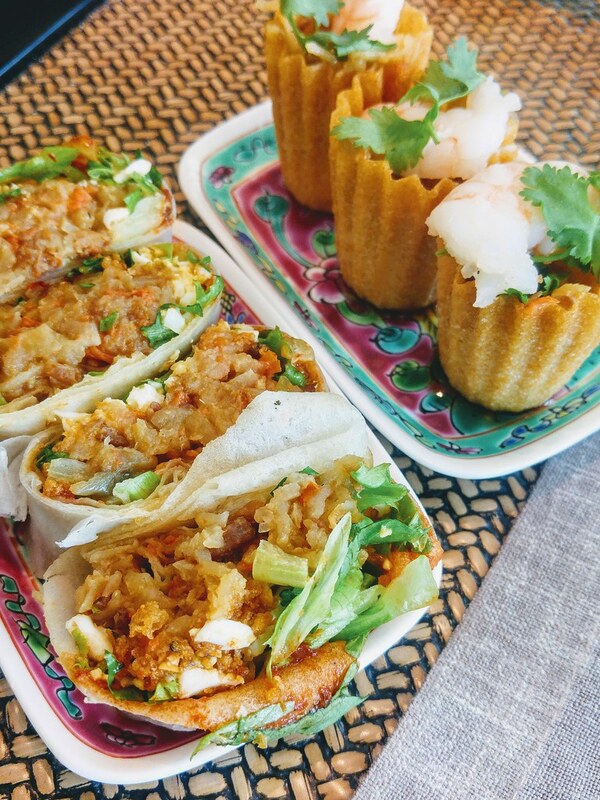 Tuck into your favourite hawker dishes at Lobby Lounge at Shangri-La Hotel Singapore. 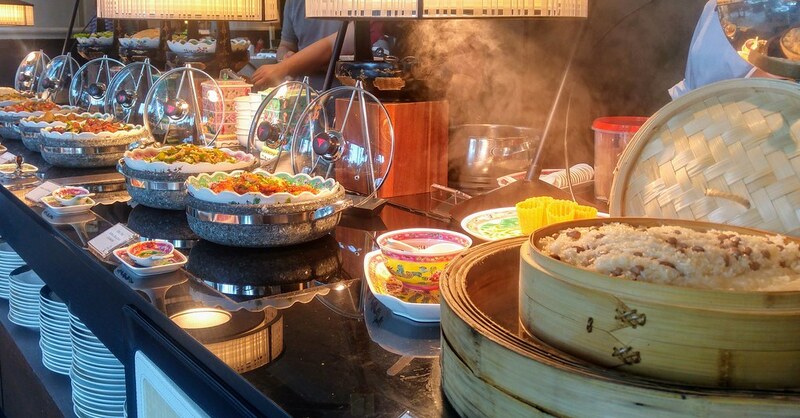 Since the revamp last year, the lounge now offers you a menu dedicated to 7 well-loved Hawker Dishes, along with local delights and comfort food. 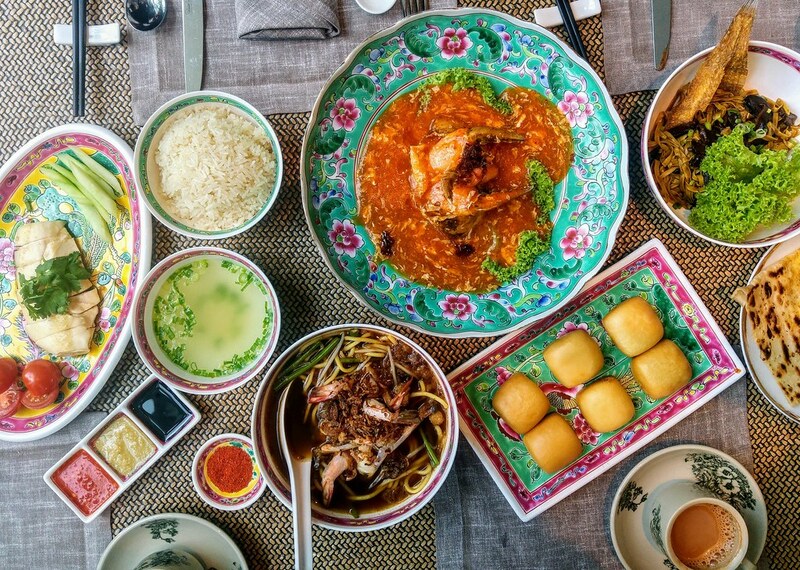 The 7 featured hawker dishes are Bak Chor Mee with Fish Maw Soup, Hainanese Chicken Rice, Prawn Noodle Soup, Katong Laksa, Chilli Crab and Mantou, Bak Kut Teh (Legendary Bak Kut Teh) and Beef Rendang (Rumah Makan Minang). While waiting for your mains, start your day with a cup of Kopi or Teh Tarek, along with Kueh Pie Tee and Popiah which are done a la minute to prep your appetite. Not to forget the range of local dishes such as Achar, Sayur Lodeh, Rojak, pork belly etc. 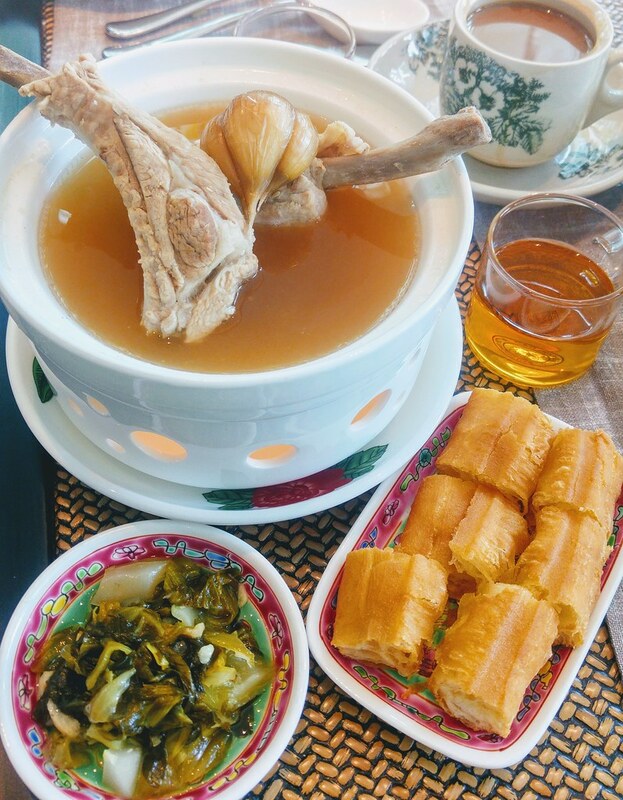 Known for its peppery Bak Kut Teh, this family-run brand uses fresh Indonesian pork and Sarawak peppercorn to create that tummy warm dish. What I like about this set is the super airy and crispy you tiao, as well as the the special brewed tea is served at the side to complete the experience. 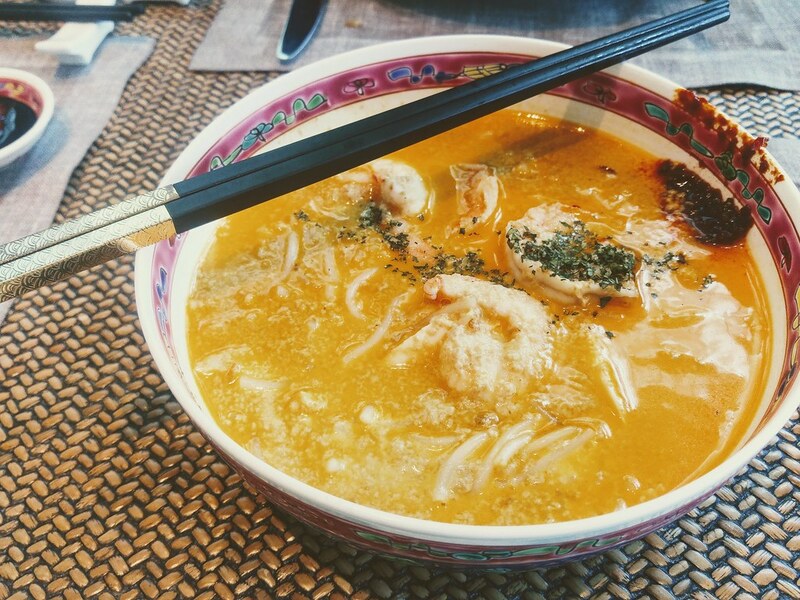 The broth, however, is a much mellower version compared to those served in their own restaurants. 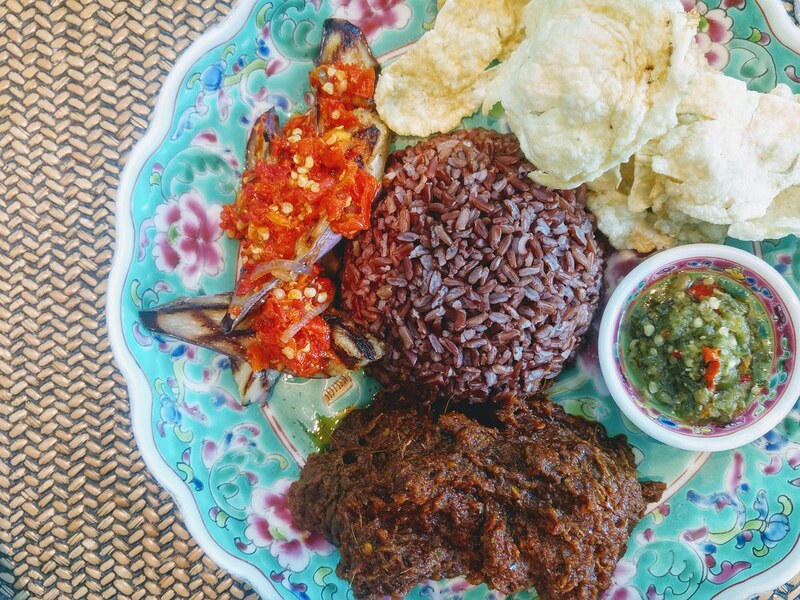 I do quite like the Beef Rendang by Rumah Makan Minang, although I'm not sure how close it is to the original. As beef rending can be quite rich and greasy, the use of the grainy brown rice really helps to balance the heavy protein. What's notable is the grilled brinjal with the diced chilli atop, which is smokey, tangy with sweet-fiery kick. I highly recommend Chilli Crab and Mantou for the sweet and tender Alaskan King crab meat and fuss free experience. Neatly shelled, savour each claw as though it is a drumstick. The body becomes a bowl for all its meat, you can simply clean up the 'plate' of meat with a spoon or the airy mantou. 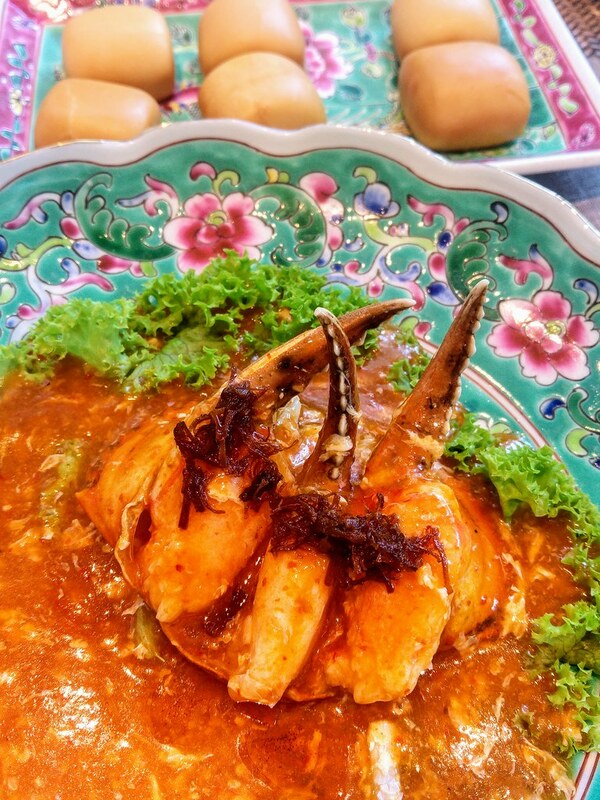 The sambal crowning the dish is not just a condiment but also a signature of this gravy, made popular since the day Dragon Phoenix Restaurant’s Chef Hooi, decided to added sambal and eggs as means to enrich the gravy. Though the gravy leans towards the sweeter side, it is excellent as a crab dish. 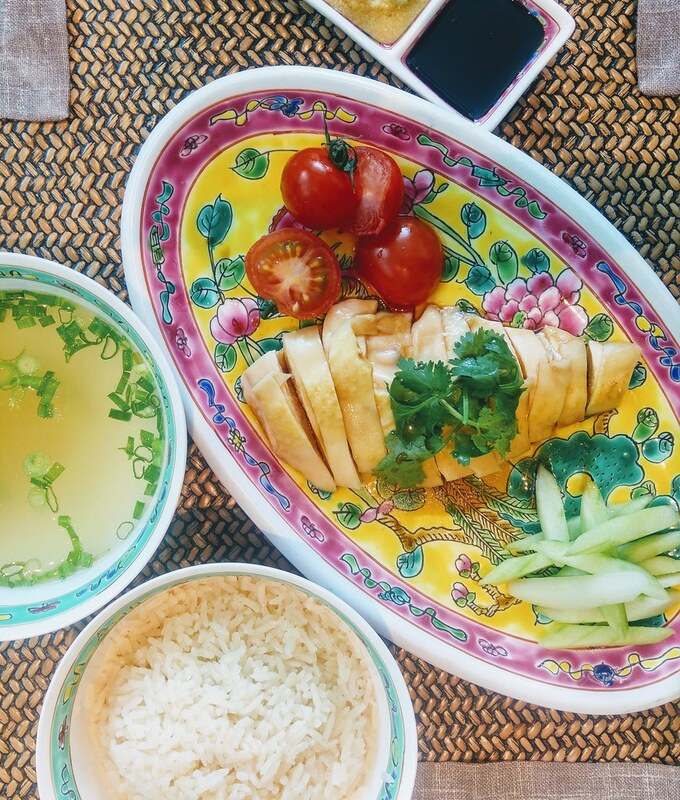 As for the Hainanese Chicken Rice, the chicken can be more tender. But what I like is the rice, which is fluffy and fragrant. 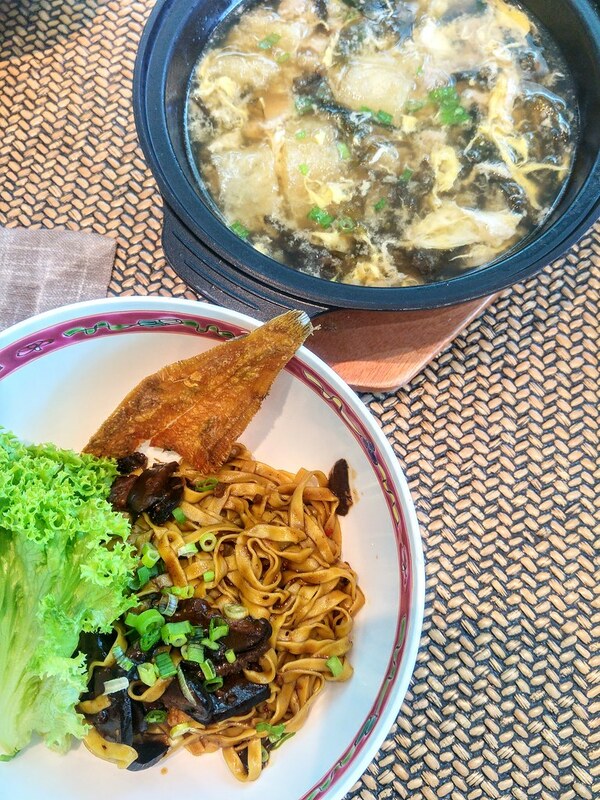 The selected Bak Chor Mee is by Seng Kee Mushroom Minced Meat Noodle, served with a premium Fish Maw Soup kept warm in a heated claypot that is brewed from pork bones and dried sole. It comes with an array of ingredients - minced pork, pork slices, egg, seaweed, and stewed mushroom slices, and compliments the noodles really well. It could have been even better if the latter has a more vinegary taste. 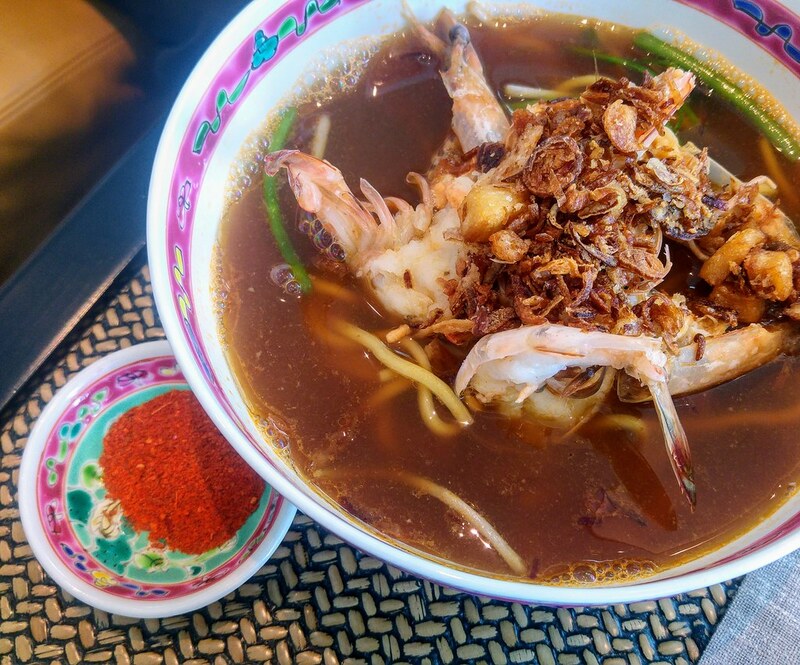 By Beach Road Prawn Mee, the Prawn Noodle Soup is quite clean on the palate but I prefer a much richer broth which I could see the layer of reddish oil floating on top of the soup. Inspired by the Original Katong Laksa aka Janggut Laksa in Katong, the Katong Laksa features short, thick rice noodles served in a broth made from coconut, flavoured with dried shrimp and fragranced with laksa leaf. Though the coconut broth is not as rich and robust as what we are used to but the thickness of the broth is quite all right. You may want to time your visit according to the Heritage Weekend Pop-up Series. Held once a month, the live station will be taken over by a local hawker, showcasing another classic. 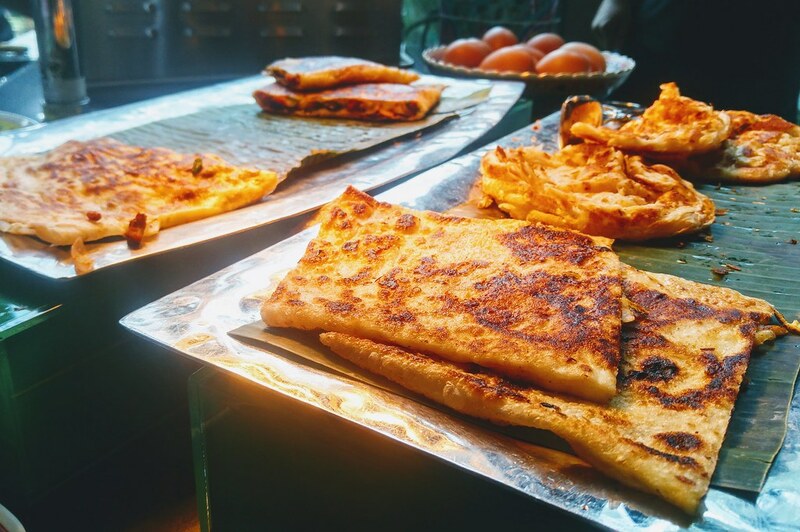 The first edition, which is just over on the weekend of 24th March, Guna of Springleaf Prata Place was here to demonstrate the art of prate making! 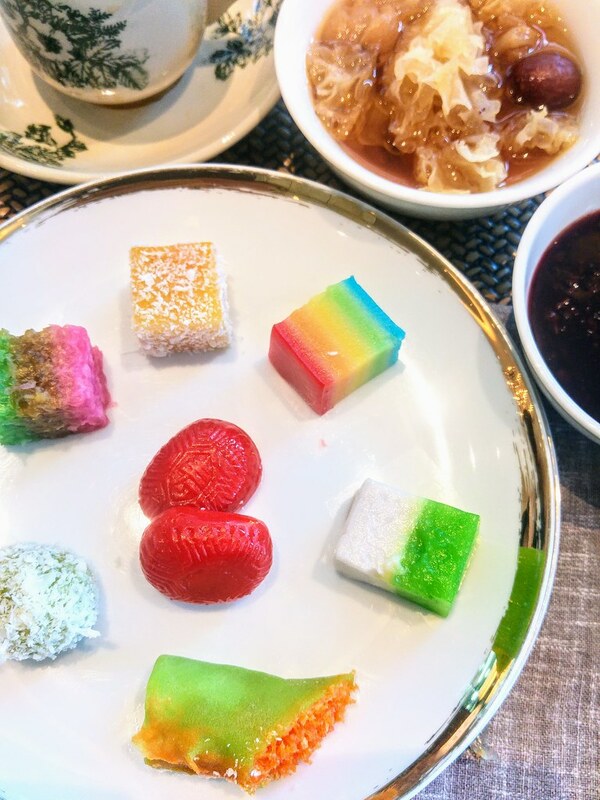 Plates after plates of colourful bitesize Nyonya Kuehs by HarriAnns are just irresistible. I know some of you will just head straight for them right at the start rather than saving them for desserts. All six signature dishes are available on the a la carte menu daily from 1130am to 10pm or as part of the local semi-buffet lunch priced at $38++ during weekdays or $42++ during weekends.